How often should you feed Siberian Huskies? Which dog food brand is best for Huskies? How much to feed a Husky puppy? 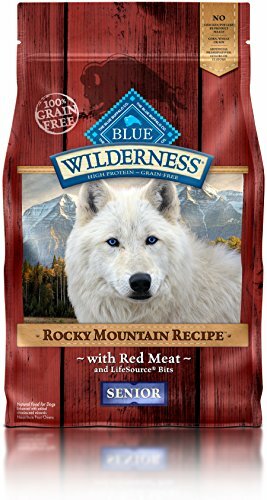 Best dog food for Husky mix? 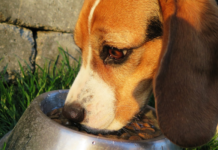 Regardless of what type of dog you have at home – nutrition is very important. A dog needs energy to run around, and their food needs to contain enough protein, vitamins, mineral and more for their bodies to function properly. A balanced diet will show both on the inside and on the outside and can contribute to healthy skin and less shedding. 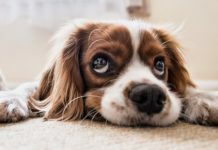 Knowing what to look for in dog food is essential when making a choice for your pup, but it is also crucial to take the individual dog into consideration. Large high-energy dogs need food that keeps them going, but also that protects their bones and joints, so that they can roam around for many long years without risking injury or painful diseases. Siberian Husky owners know this better than most, as these highly intelligent dogs won’t settle with less than the best. Whether they are working dogs or family pets, they will need food that cover all their needs, and as someone who has just brought one of these wolf-like puppies home, you might be asking yourself: What kind of food do Huskies eat? Let’s have a look at some options, to see if we can find the best dog food for Siberian Husky puppies and adults. This is a great option when looking for high-quality dog food for husky family members, as it is full of protein from specified meat sources. The husky is an active dog breed with special requirements when it comes to nutrition, and this product sees to that with (depending on flavor) deboned salmon, fish meal and chicken meal as its three first ingredients. It makes for a great dog food for Huskies thanks to being grain free, with wholesome fruit (like watermelons) and veggies rather than grain fillers that do little for your dog’s health. Enhanced with a carefully assembled mix of vitamins, minerals and antioxidants to support the immune system, to care for the dog while it ages and to promote a healthy oxidative balance – this kibble qualifies as one of the best options for Siberian Husky foods. It also contains Glucosamine and Chondroitin for healthy joints. Why We Liked It – Finding the best dog food for Husky dogs can be a challenge, but it does not have to be impossible. 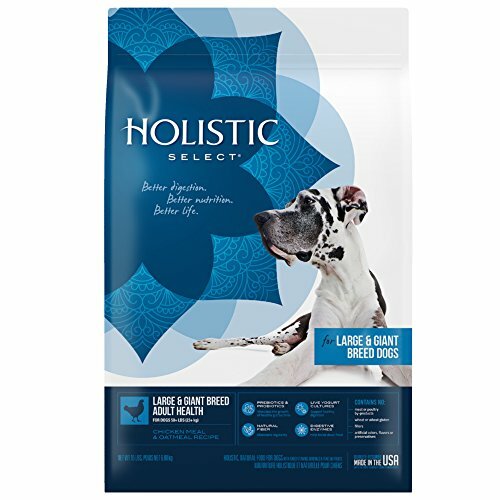 This brand is known for its quality kibble, and it contains enough protein, vitamins and minerals, plus glucosamine and chondroitin, to keep your dog healthy and happy regardless of age. You may also be interested in these healthy vegan dog treats. 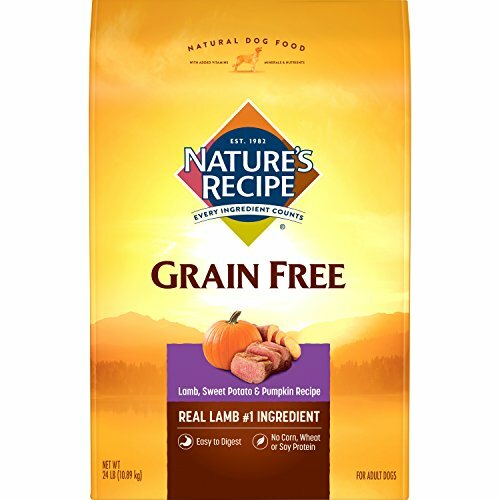 Another quality grain free product, that would work well as food for Husky fur friends, is Nature’s Recipe. 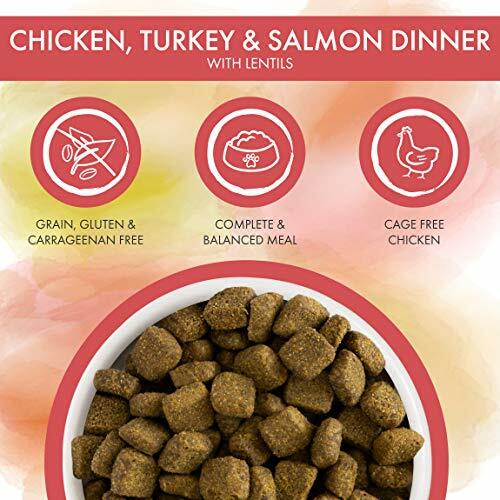 It’s first ingredient is lamb, which is a mild type of diet meat that sits well with most doggy stomachs, and it is followed on the ingredient list by the protein rich component real chicken meal. This adult dry dog food is not suitable to be used as puppy food, as it is recommended for dogs over the age of 1 but will provide an adult dog with the daily nutrition guide they need. It is completely free from artificial flavors and colors, as well as from fillers like wheat and corn. Sweet Potato and pumpkin provide a healthy amount of food from carbohydrates that are great for energy. Why We Liked It – While this adult dry dog food might not be the best dog food for Husky puppy friends, it is a great source for daily nutrition for an adult dog, thanks to the high protein content and healthy carbohydrates. Plus-point for the mild meat source – great for sensitive stomachs! Free from animal by-products, artificial preservatives, colors and flavors, and with protein rich real chicken, chicken meal and turkey meal listed as the first ingredients – this is a kibble that lives up to a rambunctious pack of adult huskies’ food requirements. The adult dry dog food has replaced grains with delicious chickpeas, lentils and sweat potatoes, it contains prebiotics and probiotics, as well as flaxseeds and fish oils with Omega-3 and Omega-6 for a healthy skin and coat. This high-quality answer to the question of what is the best dog food for Siberian Huskies is conveniently available in grocery stores and supermarkets! 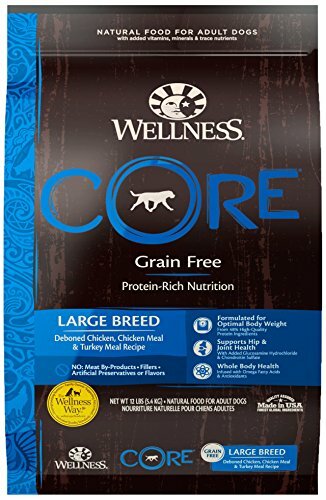 Why We Liked It -You might not feel you have the money to spend on the top kibble brands, but you can still get the best dog food for Siberian Huskies living under your roof, thanks to quality options like this one here being available at your local grocery store. This holistic product is made in the United States, and while it isn’t grain free – it is 100% free of animal by-products, artificial flavors, colors and preservatives, fillers and wheat products. First on the list of ingredients is lamb meal (for the lamb variety), which is a source rich in protein. When looking for the best food for Husky puppies and adults, it is important to check the protein levels to make sure the kibble can provide them with what their bodies need. 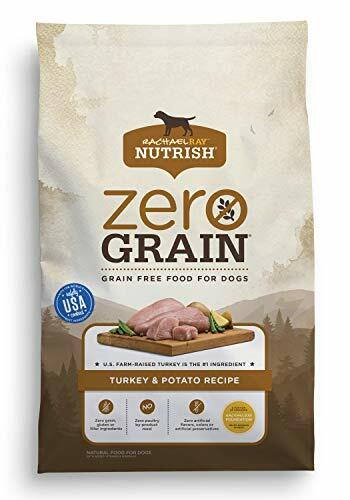 This product, in most of their flavor varieties, use only one type of meat as protein source, which is great for dogs with sensitive stomachs and/or food allergies. The best food for Huskies is one that can give them energy to be their goofy and active selves, making this a reliable option. Why We Liked It – When choosing what to feed a Husky, not every owner is up for going completely grain free. This product contains only high-quality grains, that together with the meat content and various nutritious vegetables becomes a strong contender for the title of the best dry dog food for Huskies. 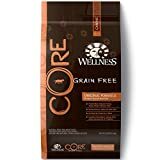 As the name indicates; this Wellness Core Grain Free dry dog food is a grain free kibble with natural ingredients. The company behind this product makes dog food that nurtures every part and aspect of your dog; such as skin and coat, digestive systems health, eyes, teeth and gums, energy and immunity, which is a great sign when looking for the best Siberian Husky dog food. Dry Dog food is made with premium meats and fresh fruit and is fortified with Omega-3 and Omega-6 plus a healthy dose of probiotics. It is not a Siberian Husky puppy food as it is made for dogs older than a year (growing puppies often need additional nutrients), but it makes complete and affordable dog food for dogs. Dry Dog food promises a great taste which your dog will love, and most Husky owners know that their pups can be picky eaters (probably due to their intelligence), which is why taste and flavor are so important for picky dogs when choosing between Husky dog food brands. Many of the Husky food products listed here are for adult dogs, but this one is specifically tailored to meet the requirements of what would be considered a good food for Husky puppy fur friends! It is a grain- and gluten free kibble, with deboned real chicken, chicken meal and turkey meal to help your pup grow! 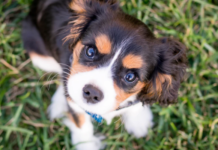 The puppy stage is a sensitive age where a lot of strain is put on bones and joints, and the right nutrition is required for that pup to grow up to be a healthy and happy adult. This product contains a unique blend of vitamins, minerals and antioxidants, as well as DHA and ARA – two fatty acids found in the mother’s milk, to ensure a smooth transition to kibble. Why We Liked It – It is so important to find and feed the best Siberian Husky food right from the start, so that your puppy can get all the nutrients he or she needs in order to grow up healthy and strong. This product has that in mind, which is what makes it possibly the best dog food for Husky puppies. What is the best food for a Siberian Husky? It is always a great start when the two first ingredients are meat ingredients (for example chicken and chicken meal, depending on chosen flavor), as Nutro Max WHOLESOME ESSENTIALS indicates a high protein content. Dogs are carnivores and thrive when given a protein rich diet. 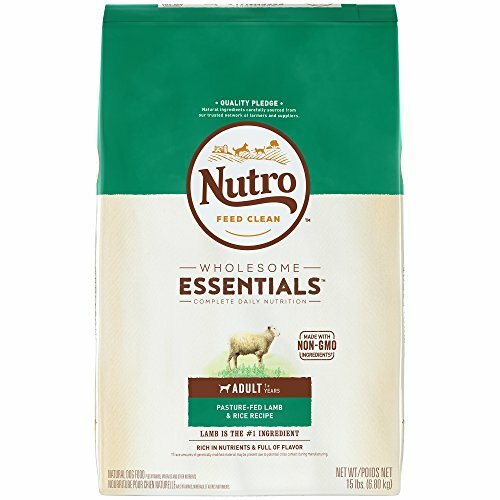 Apart from meat from trusted U.S farmers, this Nutro Max WHOLESOME ESSENTIALS kibble also contains a unique blend of fruits and vegetables as well as wholegrains. It is full of vitamins and minerals and made with non-GMO ingredients, and it is completely free of artificial preservatives, soy, wheat, corn, animal by-products and artificial colors and flavors. Why We Liked It – This Nutro Max WHOLESOME ESSENTIALS kibble is another good option for the dog owner who wants to keep their Husky eating some healthy grains, rather than going grain free. The ingredients come from local and trusted U.S farmers and are non-GMO and rich in vitamins and minerals. A grain- and potato free kibble that is easy to digest makes a great food for Huskies to reduce their calorie intake! Top ranked on many review websites; this anti weight gain kibble is suitable for all life stages, and contains a healthy mix of protein, fruits and vegetables, as well as vitamins and minerals. It is a good food for Husky puppy family members, and since dog food for Husky puppies can be difficult to find – it is an option worth taking into consideration. The ingredients are GMO free and the kibble is made in a BRC/USDA Canadian factory with strict food safety standards, which makes it one of several trustable husky food brands on the market. 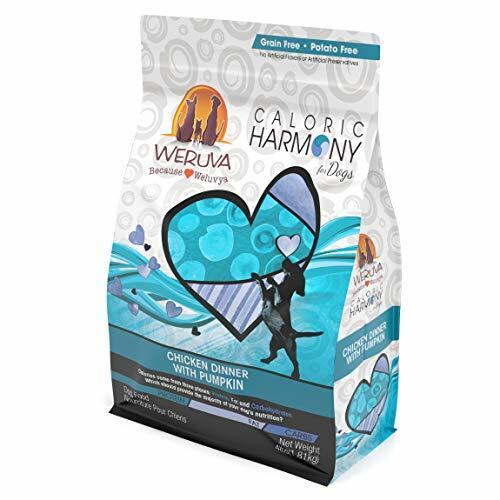 With pumpkin and seaweed to aid digestion, and this dog food is cheaper than the company’s other similar product – Weruva Caloric Harmony Natural. Why We Liked It – A kibble that is suitable for dogs all ages can definitely be considered a top choice when it comes to the best food for Siberian Husky packs out there. 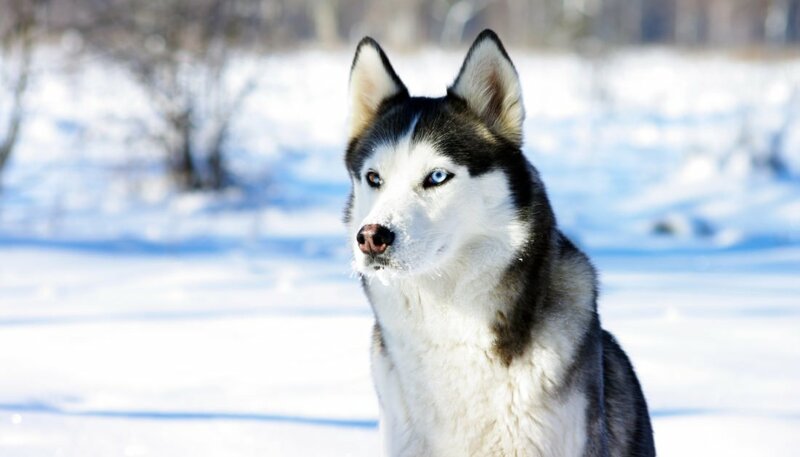 Many Husky owners have dogs of different ages, especially those practicing mushing and similar sports, and being able to feed the same kibble to all pack members saves both money and time. The Rachael Ray products stand out due to the brand’s promise of only using ingredients that they themselves would want to give to their dogs, and they show this by providing a natural kibble free of artificial colors, flavors and preservatives, and also free from animal by-products, fillers, gluten and grains. With U.S farm-raised turkey as first ingredient, it is no wonder that this product made the ‘best dry dog food for Siberian Husky’ list. Ask yourself this: What kind of dog food do Huskies eat? If the answer is natural food with high protein content and quality ingredients, then this might be the right option for your pups. Why We Liked It – This is a good food for Siberian Husky owners to invest in, as it is made with care and knowledge of the canine species, where meat ingredients top the ingredient list, followed by quality fruit, vegetables, vitamins, minerals and antioxidants. 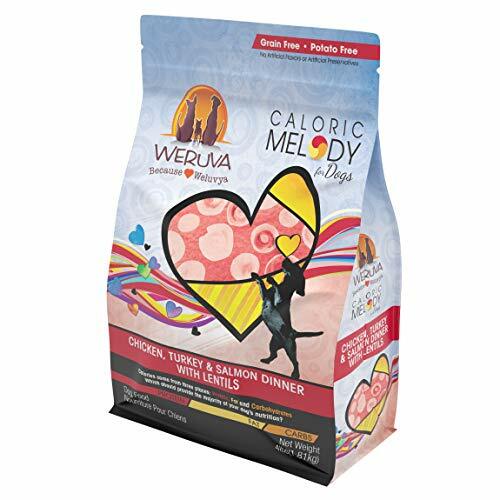 Very similar to above listed similar product; Weruva Caloric Melody Natural, but with a somewhat higher protein content. The price on Amazon goes up a bit compared to the sister product, but nothing too noticeable. It is a balanced kibble which is grain- and gluten free, aiming to provide a quality dog food for Siberian Husky pups and other family dogs. Salmon oil and linoleic acid helps keep the dogs coat shiny and healthy, which is very beneficial for the Husky with their impressively thick coat! Is it the best dog food for Huskies? 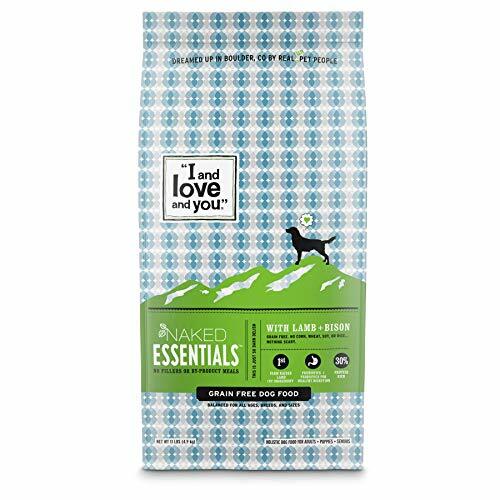 That depends entirely of what you want for your dog, but this product places as a top candidate thanks to its high-quality ingredients – turned into crunchy kibble in a USDA approved Canadian factory. Why We Liked It – It has a higher protein content than many other similar products, which makes it great for active dogs that spend a lot of time running and exercising. Also, a good dog food for Husky puppy owning families and for those with growing dogs. Many of above mentioned products are made by companies that could qualify as the best food brand for Huskies, and they all contain ingredients that are essential for a happy and healthy pup! With all this information in mind; what is the best dog food for Siberian Husky packs, families and individuals, and how can you know? The smartest thing you can do is to learn what to look for in a kibble, and make an educated decision based on that. The meat content is the first thing you want to look at. Huskies are incredibly active and high-energy dogs, and for their bodies to be able to keep up with what their minds want to do – they need to be fed a high-quality kibble with enough animal protein to keep them going. The first ingredient should always be a meat product, and preferably followed by a meat meal product (such as chicken meal), as they are sometimes higher in stored protein than fresh meat. Whoever has ever lived with a Husky knows that living with them means to also live with massive amounts of fallen-off hair! They shed massively at least twice a year; sometimes year around and finding the best dog wet or dry food that keeps their coat healthy and strong might somewhat reduce that. Start when they are young by looking for the best puppy food for Siberian Huskies that have fish oils or similar, as fish oils include Omega-3 fatty acids and Omega-6, which are both great for aiding in a healthy skin and coat. Vitamins and minerals are also big contributors to skin and coat health. With the best puppy food for Huskies – your dog could get a great start in life, so start looking after that fluffy fur of theirs already from the beginning. 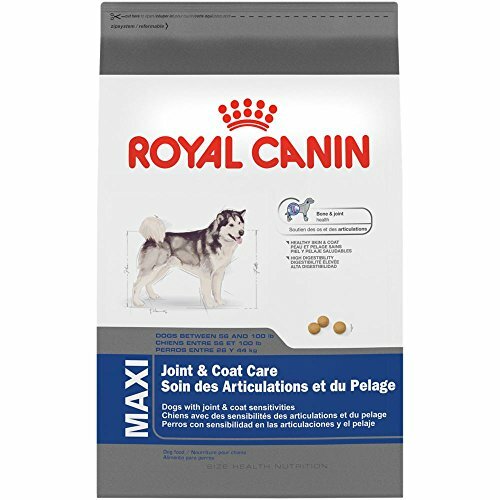 These will help form strong bones and joints, as well as serve as maintenance as the dog grows older. Many choose to add them as supplements, but you could save yourself the trouble by choosing a Glucosamine and Chondroitin infused dry food. The best food for Husky puppy parents is one that will look after their fur baby and continue to do so as he or she grows. While Glucosamine and Chondroitin are more relevant for a senior dog, as the natural production in the body slows down with age, it is never too early to start. 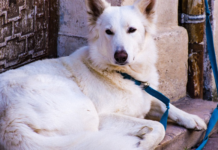 Preventing is always better than treating once a dogs’ health issues have already occurred. This depends entirely on the individual dog, what he or she is used to and what works, as well as what you as an owner find to be the most convenient. Some dogs prefer to eat just once a day, while others will feel nauseous and possibly even vomit if going without food for too long. If possible, it is recommended to feed your husky at least twice a day, to avoid giving them too much food at a time as that increases the risk of bloat, which is a life-threatening condition. How much you feed your husky in total is more important than how many times a day you feed. 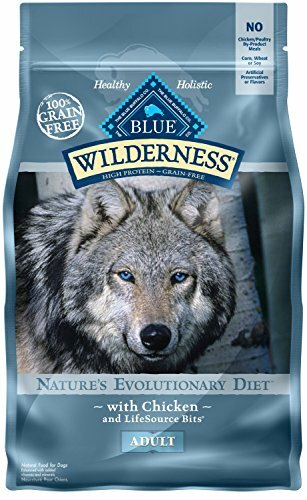 One of the most complete products listed here is the Blue Buffalo Wilderness High Protein Grain Free. It has a superior level of proteins from real meat and meat meal, which guarantees that your Husky gets what he needs to stay energized and strong. It qualifies as best dog food for Siberian Husky puppy families, due to the kibble being suitable for dogs all ages and is also a great option when looking for the best food for Husky with sensitive stomach. The best puppy food for Siberian Husky owners is possibly one they can continue using also as adults, to avoid having to switch them over from one food to another, unless it is absolutely necessary. 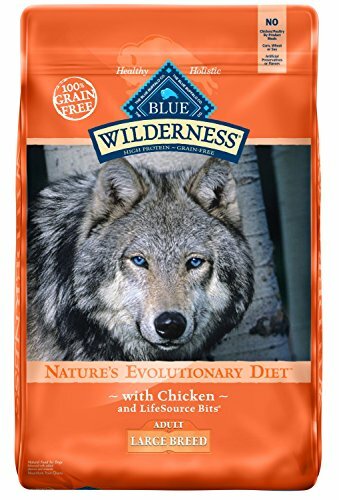 There are several products that are suitable for dogs all ages, such as Blue Buffalo Wilderness and Weruva Caloric Melody Natural, but you could also opt for a food option targeted at puppies, if that is what you prefer. 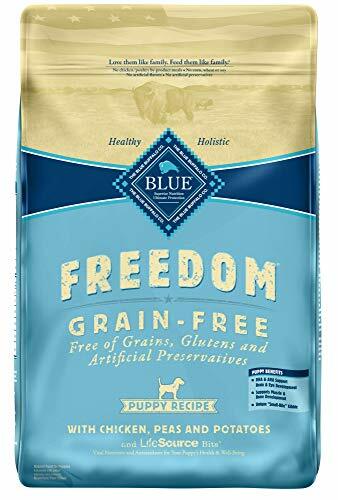 If so, we recommend the Blue Buffalo Freedom Grain Free Natural Puppy, which provides a gentle transition from the mother’s milk and to eating kibble – qualifying it as the best dog food for Siberian Husky puppy friends out there. After having chosen what you consider the best food for Siberian husky puppy pals in your household, it is time to look at the back of the bag for feeding instructions. The amount of food depends on the ingredients in the kibble, such as energy content, so make sure you read on the bag and feed your husky accordingly. 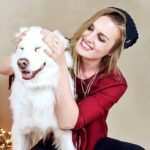 The best dog food for Husky mix breeds is basically the same that you would feed a full-bread Husky, unless the mix breed presents some specific needs that does not match those of a Husky. If it is less energetic than a typical Siberian Husky it might not need a kibble with quite as much animal protein, for example, but a high-protein food also won’t do him or her harm. Feed a mix breed what you would feed a full-breed Siberian Husky, and you are unlikely to go wrong. When deciding on kibble for a Husky, the most important thing to remember is that the Husky is a high-energy dog with an advanced metabolism. They need plenty of animal protein, especially if they are used for mushing or extreme sports, so make sure the dog food you choose has quality meat ingredients listed first and if possible also second. Food to avoid would be animal bi-products, as it is a low-quality animalistic source – usually scraps left over from slaughter, and it holds little nutritional value in comparison to real meat. Learn to investigate for yourself to find the best food option for your Husky, rather than to listen blindly to tips and suggestions from friends and family. 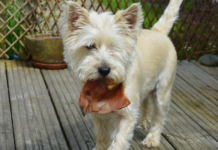 Many mean well, but not everyone knows how important nutrition is for a dog, and that just because a kibble bag has an inviting exterior it does not mean it holds the same nutritional value for your pup. The Siberian Husky is one of the most healthy dog breeds in general, so make sure you keep them that way by offering a natural diet with all the nutrients they need in order to thrive.